Just $5.00 for an eBook can sow the seed to help boys build great lives – even save lives and prevent violence. Be Proactive for Positive Male Change; Encourage 5 people to buy the eBooks; encourage them to contact 5 people – we can reduce youth problems existing in this country and help create a more positive form of masculinity – today’s boys – tomorrow’s leaders. 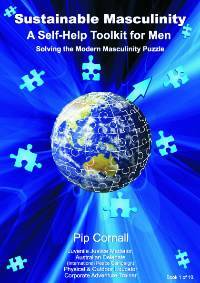 The eBook is ‘awash’ with with videos, animations and websites from leaders in health masculinity. Few men have ever studied male gender issues – such as how to master our masculinity – how biological maleness differs from socialised masculinity and how build what is good about our programming and identify what is not – giving a male unprecedented choice over building character. BUT – it won’t just happen – in fact the opposite is likely as we’ve seen with the proliferation of ‘bad boys’ in Australian and overseas sport. This eBook shows how inspire boys to use their sport not only to build character but to help inspire others to do the same – and join in the global movement to build a safer and more equitable world. 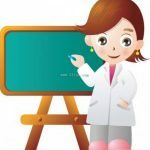 The books are very innovative packages – brimming with cartoon animations, films, and resources from world leaders in healthy masculinity. Be Proactive for Positive Male Change – Encourage 5 people to buy the e-books – encourage them to contact 5 people – we can change reduce youth problems existing in this country and help create a more positive form of masculinity. Emotional health and its role in individual and community wellbeing .Issues pertaining to healthy femininity and masculinity are integrally bound into a society’s health.